Cistercian Studies Quarterly 48, no. 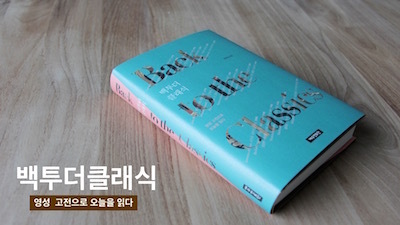 1 (2013): 137-140에 게재된 서평을 옮겨 놓는다. Thomas Merton, Passion for Peace: Reflections on War and Nonviolence, ed. William H. Shannon (New York: Crossroad Publishing Company, 2006), 176 pp. $14.95, paper, ISBN 0-8245-2415-2. Passion for Peace: Reflections on War and Nonviolence is an important book. It contains the essence of Thomas Merton’s thoughts on war and peace. It was first published under the title Passion for Peace: The Social Essays in 1995. The editor of both books, William H. Shannon, a distinguished Merton scholar and the founder of the International Thomas Merton Society, abridged the original version, which contained thirty-two essays, into this compact version, which includes eleven essays and the appendix, “Merton’s Prayer for Peace.” Therefore, in order to review the new version, one needs some background knowledge about the original. Most of the essays contained in the original volume were previously published in Seeds of Destruction, Thomas Merton on Peace and in The Nonviolent Alternative. However, as Shannon explains in The Thomas Merton Encyclopedia, Passion for Peace differs from these earlier works because of the arrangement of the essays in chronological order, including writings on racism, and the placement of each article in its proper context. Therefore, the 1995 book consisted of two parts: (1) Part 1, “The Years of the Cold War Letters” (October 1961 to October 1962), (2) Part 2, “Following the Year of the Cold War letters” (1963-1968, the essays arranged by years). By adopting such methods, the editor intended to present this book as “a kind of autobiography of Merton the social critic” (18). Though the abridged version is only about one-third of the original in quantity, it still retains its characteristic features of the original. We cannot find any explanations of why and how the editor abridged the original version because it only has the introduction to the original edition. However, it seems that he took into serious consideration a reviewer’s comment on the original version that although his intentions were good, the results were not entirely successful. In other words, the out-of-print essays may merit republication, but nearly half of the essays in the original Passion for Peace, which are in other Merton’s books still in publication, will disappoint most Merton readers who are familiar with his writings. Therefore, this new version of Passion for Peace has now been republished as a compact and essential edition, maintaining its predecessor’s frame. Regrettably, the reduction in quantity has caused another reduction, that is, the book’s originally intended characteristic, a kind of autobiography of Merton the social critic has been faint in the new edition. However, there are not only defects but also some positive effects of these changes. It must be noted that the subtitle of the book has been changed from “The Social Essays” to “Reflections on War and Nonviolence.” Such a change, along with the reduction in the quantity of essays, narrows the focus of the social essays to the themes of war and nonviolence. In fact, the articles in the abridged version give readers a coherent voice on war, peace and nonviolence, which is probably the most precious treasure of the book. In this sense, the new edition of Passion for Peace is a very relevant resource for the readers who have just started to study Thomas Merton as a social critic and for the Christians who are interested in a peace-making life, while the original is more useful for advanced scholars. Then, what are the main ideas of Merton’s reflections on war and nonviolence? Merton has sharp insight into human beings’ contradictory attitudes toward war. The first essay is the famous “The Root of War Is Fear,” most of which is printed as chapter sixteen in New Seeds of Contemplation but also includes about three long uncensored paragraphs that Merton added to situate his thoughts in his contemporary crisis when he offered the chapter for publication in the Catholic Worker. In the added paragraphs, he scathingly points out that the whole world is plunging headlong into disastrous war “with the purpose of avoiding war and preserving peace” (24). The most ‘reasonable’ and most frequently mentioned motive of war is peace. People tend to get rid of, in their mind, direct or potential threats to their own peace by resorting to force. They also are good at creating scapegoats upon whom they blame all the evil in the world, and at making some plausible excuses that war is necessary for peace. This mysterious characteristic of human beings comes from fear of everything and hatred of ourselves, the roots of all war. In other words, war is a serious alienation from the true self and God. Merton, however, believes that there are no logical reasons for making modern warfare—especially atomic war—legitimate. For Merton, engaging in war for peacemaking in the present era is “a true war-madness, and illness of the mind and the spirit that is spreading with a furious and subtle contagion all over the world” (24). Therefore, he insists, “The only sane course that remains is to work frankly and without compromise for the total abolition of war” (52). It may be of great help to slow down the production of weapons or to negotiate for multilateral disarmament, but these are not the ultimate solutions for war in which there are no winners but only war itself. Without the total abolition of war, a true peace in society cannot be guaranteed. Then, how should Christians struggle for peace? As mentioned previously, he analyzes that the root of all war is fear and hatred within human beings, so Merton’s strategies for peacemaking are essentially moral and spiritual rather than political. His strategies can be largely summarized as follows: (1) To awaken people, (2) Nonviolent movement, and (3) Establishment of a world government. In his many writings on peace and war, Merton tried passionately to awaken and encourage his readers to be peacemakers. Because he was a monk who lived in the monastery, awakening people by writing was one of the most essential ways for him to contribute to building a peaceful society. As William H. Shannon mentions, Merton felt that his task was “to help people see that peace is indeed a viable possibility in our world” (14). He thought that Christians had a grave responsibility to strive for the total abolition of war and for the construction of a peaceful society. So Merton endeavored to awaken Christians by pointing out their “moral passivity” and its dizygotic twin “demonic activism” (47) and encouraged them to not passively cooperate with violent political leaders and frenzied mass movements. Danish resistance to Hitler is a good example, not only of Christians’ responsibility for peace but also of nonviolent protest. In his article “Danish nonviolent resistance to Hitler,” Merton highly appreciates the Danes’ nonviolent struggle to protect the Jews from the Nazis and interprets, “It is not so much that the Danes were Christian as that they were human” (66). In this sense, his understanding of nonviolence goes beyond the ‘religious’ level, and the context of Christian peacemaking is Christian humanism rather than so-called Christian pacifism. Merton believes that nonviolence, which he first learned from Mohandas Gandhi, is the most powerful method for transforming the world, as supported by the Gospel and the early history of the Church. It changes not only a society but also its men and women. Therefore, it is not merely a political strategy for peacemaking, but, as Shannon points out, “a way of life” (12) that frees the human being from his or her inner violence to become the true self. The third strategy for peace, which Merton presents in his articles but is not fully developed, is an establishment of “a world government” (58) to regain control of the world. Merton’s strategies and passion for peace are partly embodied in the Civil Rights movement of 1960’s America. However, they are not exhausted or reduced in their potential value for world peace-making movements. Therefore, the contents and feasibility of the strategies must be reappraised in the contemporary context, and the detail ideas and methods to actualize them need to be fully developed. In this sense, the abridged version of Passion for Peace, as well as the original version, must be enriched by readers’ discussions and embodiments in their own world, because we still have the possibility that Auschwitz “can be set up tomorrow anywhere and made to work with the greatest efficiency” (145).